sentenced to life in prison with the possibility of parole. to the Parole Board demanding his release. imposed, is supposed to be rehabilitation, not torture and revenge! and the support of others like you. Acoli to as many people as possible. Thank you in advance for your support of the freedom of Sundiata Acoli. Joan P. Gibbs, Esq. and Florence Morgan, Esq. and sentenced to life in prison with the possibility of parole. parole in violation of his right to due process of law. death is imposed, is supposed to be rehabilitation, not torture and revenge! 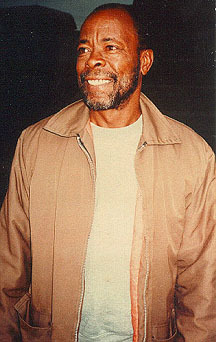 [ ] Yes, I support the Call for the Release of Sundiata Acoli.